The Bathyscaphe Flyback Chronograph Blancpain Ocean Commitment II (BOC II) is entirely in blue ceramic, with the case, bezel, back, crown and pushers made of the scratch-resistant material. Part of the Fifty Fathoms Bathyscaphe range introduced as Blancpain’s entry-level dive watch, the BOC II chronograph is 43.6mm in diameter. 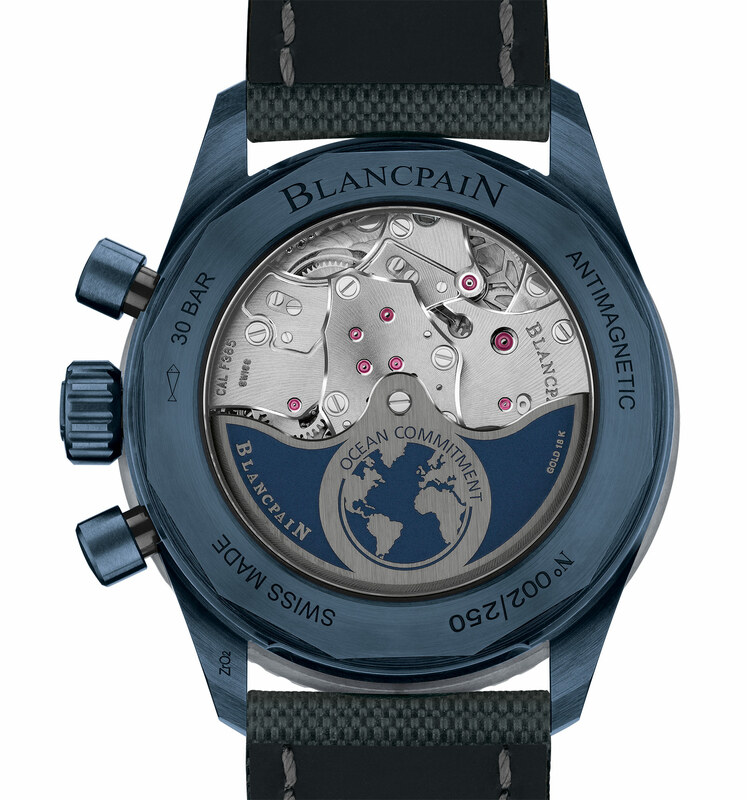 A first for Blancpain, the ceramic case is a dark, matte blue. It starts with blue pigment being added to the ceramic material that is formed into the watch case via sintering, a process of heating and compacting the ceramic powder or granules into the case parts. The blue ceramic case contains the calibre F385 movement that’s automatic and high frequency, running at 36,000 beats per hour. It also boasts the bells and whistles typical of higher end Blancpain movements: adjustable mass balance wheel, silicon hairspring, as well as a column wheel and vertical clutch for the chronograph. And the calibre F385 is also a flyback chronograph, meaning the stopwatch can be stopped and then instantaneously reset and restarted with one button. 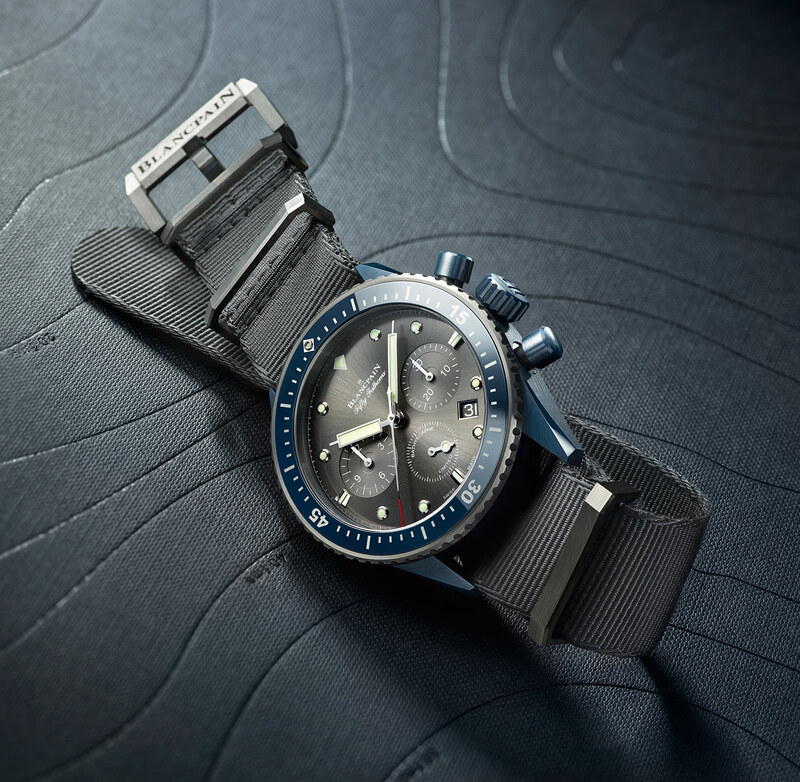 The Fifty Fathoms Bathyscaphe Flyback Chronograph Blancpain Ocean Commitment II (ref. 5200-0310-G52A) is a limited edition of 250 watches. It’s already available from Blancpain retailers, priced at US$20,100. 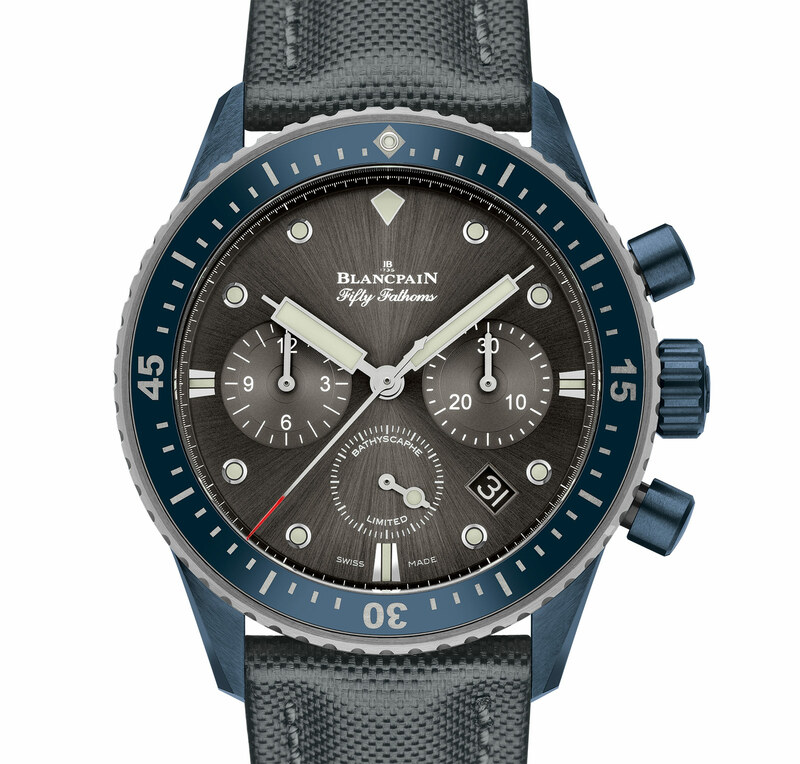 Each watch sold results in a €1000 donation by Blancpain to marine conservation. Update October 11, 2016: Price in US dollars added. Breitling stays with what it does best with the Avenger II Seawolf Blacksteel, a very large, aggressively styled dive watch with a military flavour.